Homeschool art projects for kids are the perfect way to encourage your child's creativity! The freedom you get with homeschooling means you can follow wherever your child's artistic eye takes them. I've put together our best art ideas and suggestions to tempt all ages. "My son (who is 11) has decided to have a go at art journaling! 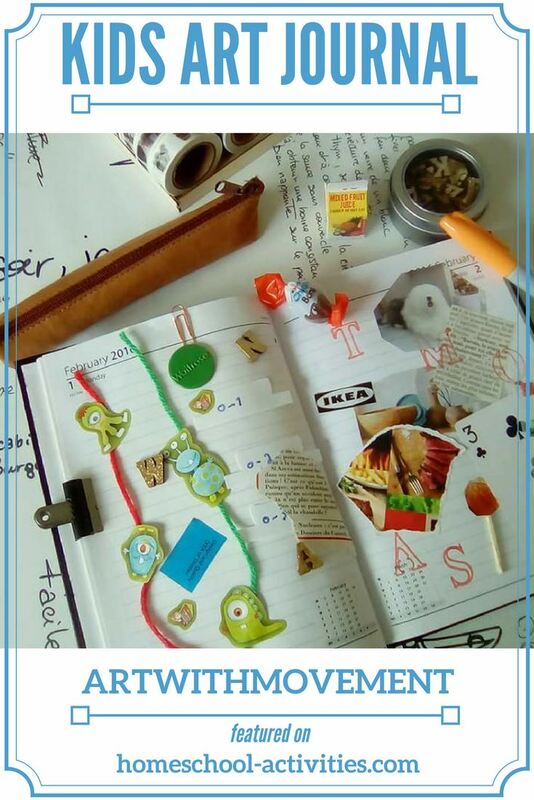 Art journaling is an excellent art activity for children. What child doesn't like collecting important things? 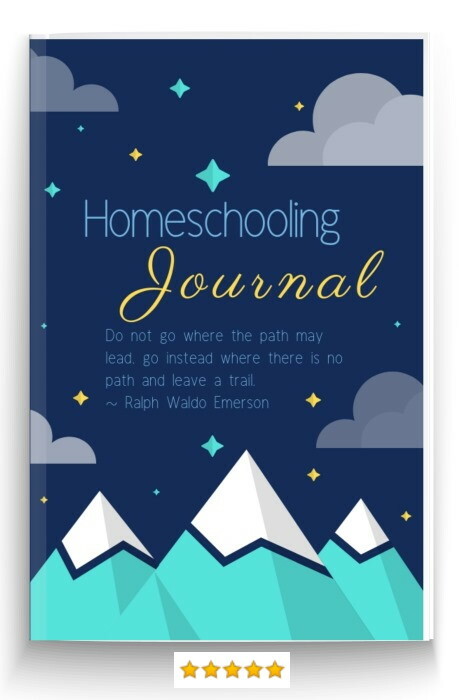 Focus the journal on an exciting subject your child loves. A great start might be to begin with what's on the table and objects your child has collected. 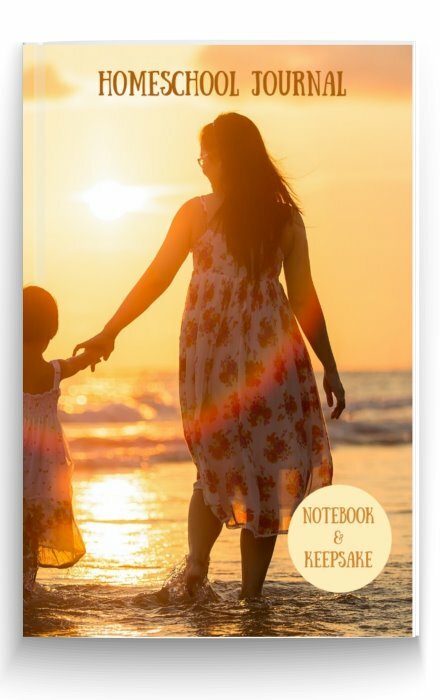 If your child has a general idea of what they want to express you can ask them to choose a color that goes well with the idea and maybe a place (coast, ocean, forest, trees, home, whatever). That way they know what to look for in magazines and materials. You'll need to provide some essentials like magazines, stickers, washi / masking tape, and glue. Colored card is always good for sticking things on! Download pictures from the internet and make collecting things for the art journal a fun thing to do on country walks. 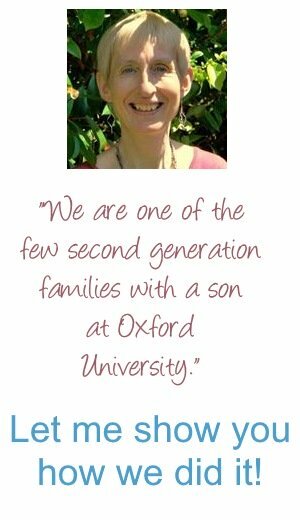 The main thing is: whatever your child does will be brilliant! 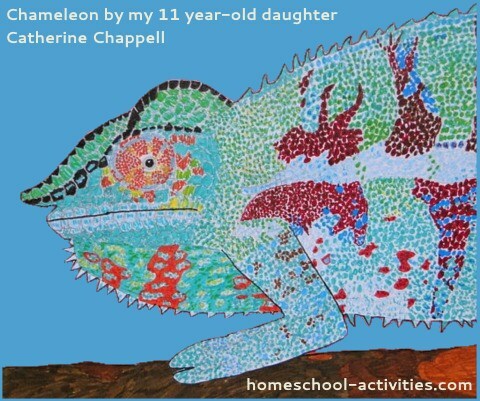 My daughter Catherine's drew this chameleon (age 11) as part of one of the many art projects for kids we've had fun trying. Check out more rainforest animals here including free coloring pages. 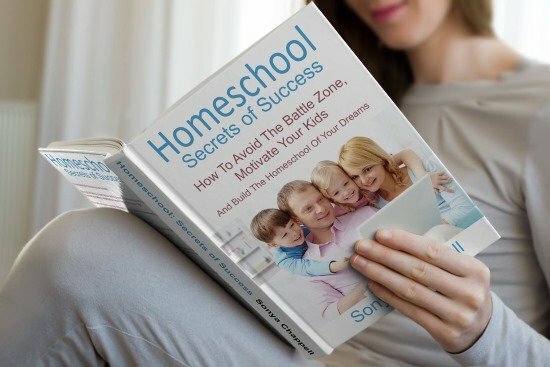 Obviously, the great advantage of homeschooling is that you can suggest lots of ideas and activities which your child might like so they can see what suits them best. 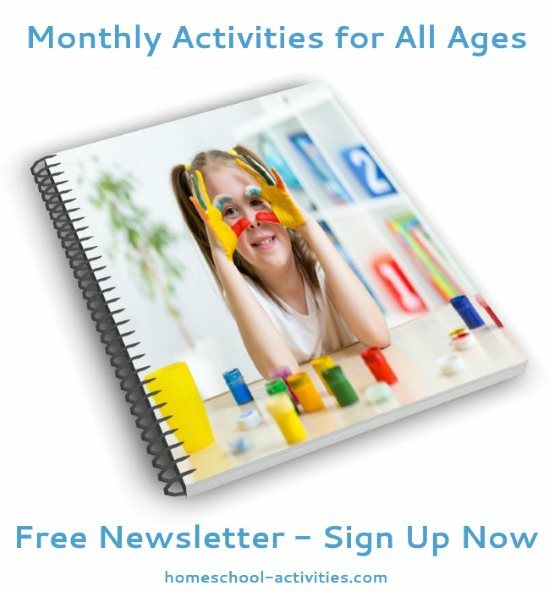 Would your child like to try kids' art activities with pastels or oil paints? Does it help to learn to draw by working out basic body shapes first? Would something like window painting appeal? The only thing is - I wouldn't make your child try kids' art activities if they don't want to. Catherine has largely stuck to felt tip pens and colored pencil drawing for the last few years. 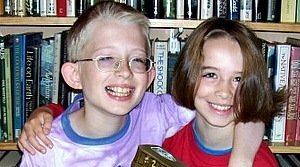 By staying with something she enjoys her homeschool artistic talents have developed enormously. Art projects for kids are great as a way of trying out lots of different ideas and activities but you don't have to be good at everything! Always buy the best materials you can, whatever the age of your child. However talented you are, those pale, blunt pencils that always seem to appear out of the hall cupboard are going to make anything your kids do look poor. 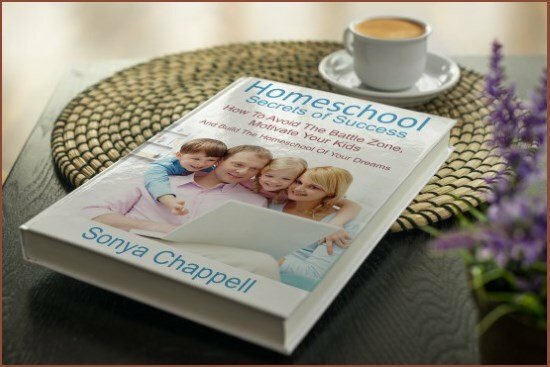 Good, attractive, materials are the secret weapon behind many a great homeschooling artist. 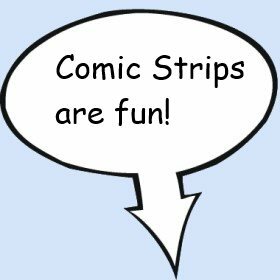 Use some wallpaper strips for fantastic huge creations. 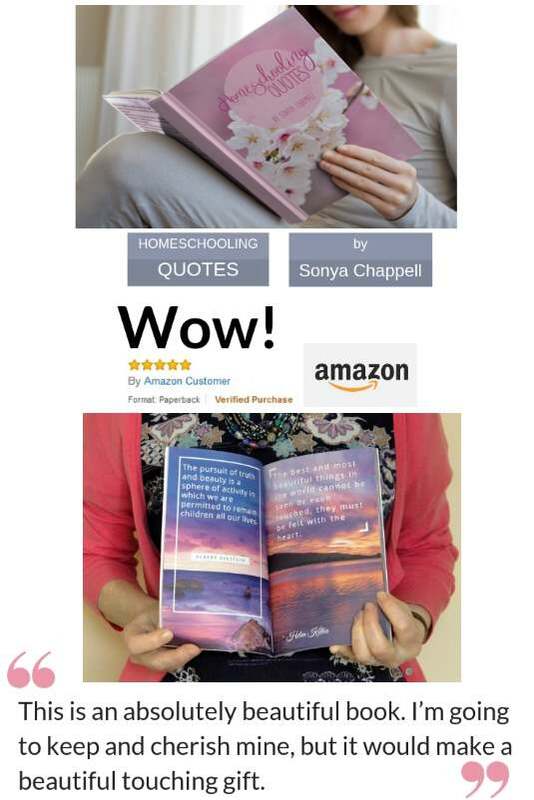 Get quality pencil crayons and spend the money on good homeschool felt tips. Chunky wax crayons are fun. Try marbling. Eggs work well. Hand Art is good fun for projects with preschool children. Glitter poster paint and glue add a twinkle to all activities and homeschooling kids art projects. 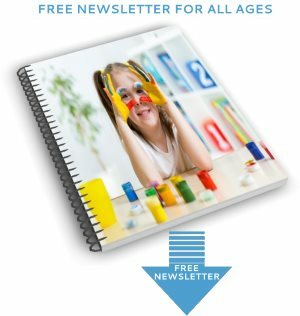 You can see more ideas for homeschool art projects for kids - including making pictures by blowing through straws and even painting with your feet here: art ideas for young children. Kathy has a great site with lots of really interesting art projects for kids, like these multicultural activities, where you can try aboriginal dot painting, make some Japanese watercolor fans and even color a kimono in pastels. How To Draw books can really help get ideas for homeschool art projects for kids. Seeing the basic body shapes in a geometric form can encourage your kids to tackle animals with a lot more confidence. 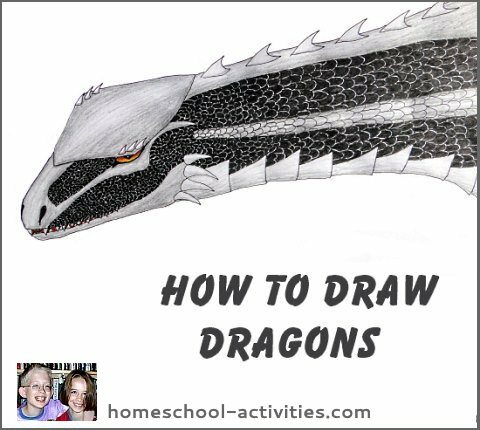 Check out Catherine's drawing dragons tutorial. She takes you through each stage, starting with the head until the final exotic climax. 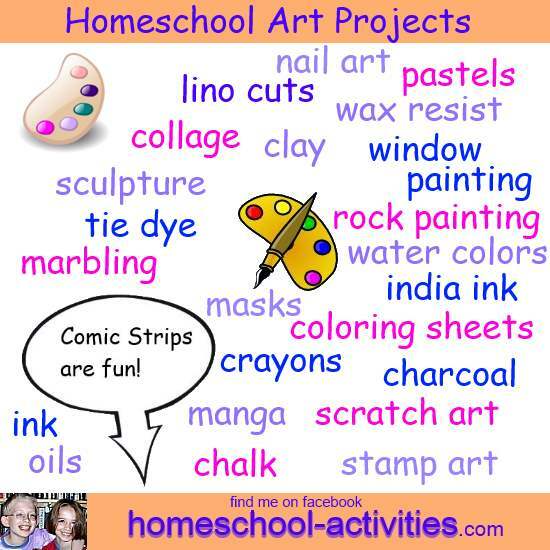 You'll see lots of fantastic kids art projects in our page on homeschooling activities. "My younger son put together this paint pendulum...(He) enjoys building things!" 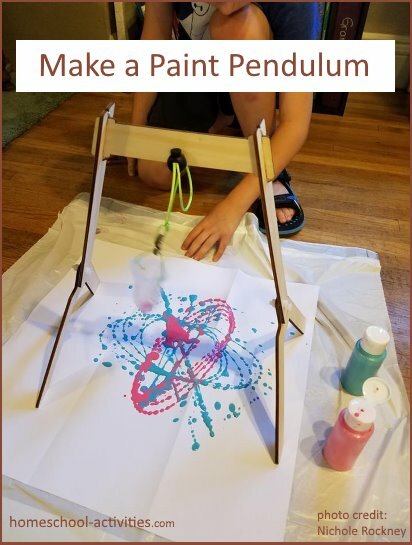 Make a Paint Pendulum. 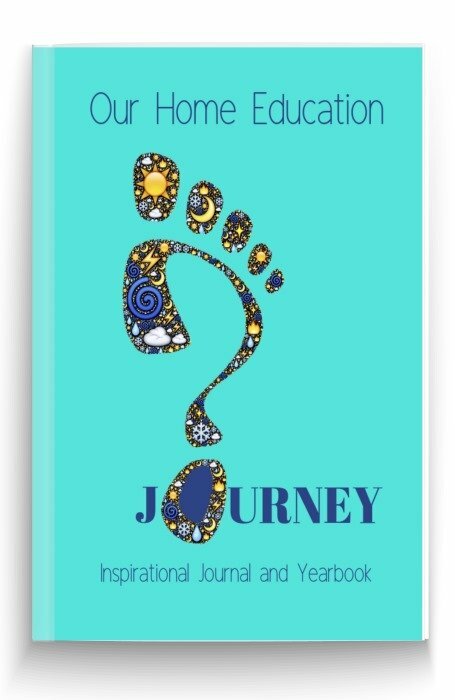 This is a lovely project which Nichole shared with me. You can make a DIY version of using a paper cup, some string, two chairs and large paper! It's an art project which also boasts a bit of science as you'll be seeing forces and motion through a swinging pendulum! Coloring sheets can be a good start for homeschool art projects and my daughter Catherine has used her project time making you some! 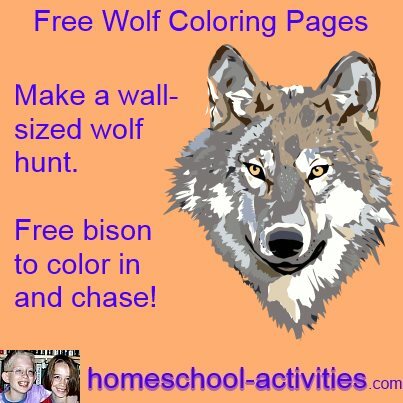 You can make this fantastic wolf hunt big enough to cover the whole of one wall. Pastels make interesting homeschooling projects by creating interesting color mixing effects. Oil paints are also worth trying for homeschool art projects for kids; we are just about to start experimenting and I'll let you know how we get on! Modeling takes artistic talents into three dimensions. You'll know we had a lot of fun when the children were younger with our paper mache recipe. Paper mache models are great for painting, and obviously young children enjoy salt dough and play dough kids' activities too. 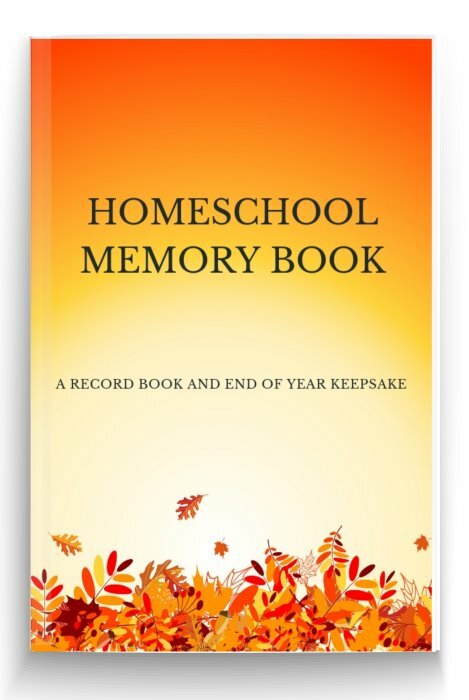 Clay is wonderful and gives lots of ideas for homeschooling older kids' activities. Both my children go to pottery class, and if you find throwing on the wheel too hard you could just invent your own animals like Catherine has with her African wild dog sculpture. Julie has a wonderful homemade clay recipe for you to try. And here is our easy play dough. 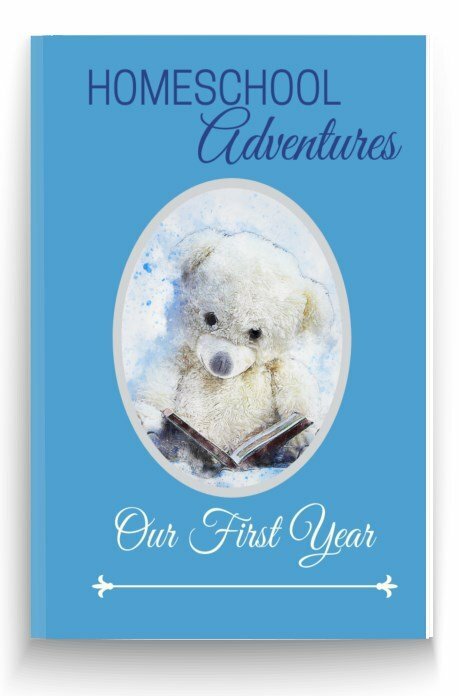 Cartoons provide the base for lots of homeschooling art ideas for kids; we have a homeschool friend whose son's love of this particular artistic form has made him into an extraordinarily talented artist. 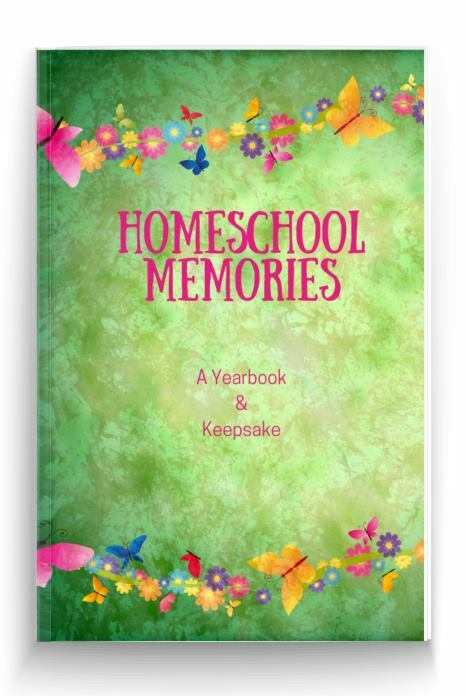 There are so many homeschool art projects for kids to choose from you'll be spoiled for choice! 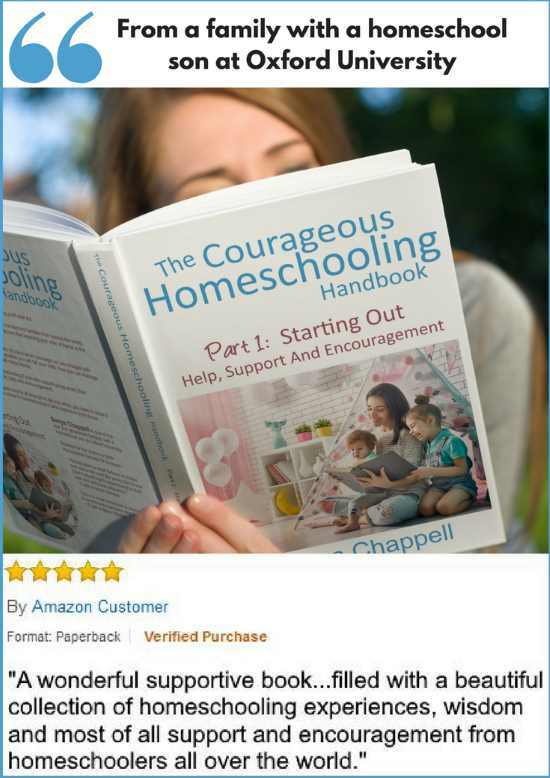 Homeschooling gives your child that essential freedom for creativity because they can choose exactly what they want to do when they are ready. I hope you enjoy homeschool art projects for kids as much as we have!